The beginning of 2011 has seen Ekaterina Tudegesheva establish herself as one of Russia's greatest hopes for the 2014 Olympics. RT caught up with the 23 year old, who has had a break out season on the slopes, easily winning the Snowboard World Cup. 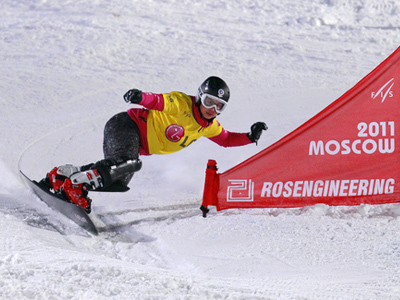 She's shy and doesn't really like public attention, but Tudegesheva will have to get used to life in the spotlight, as she's proved to be one of the world's best snowboarders. Her result's this season have been phenomenal. 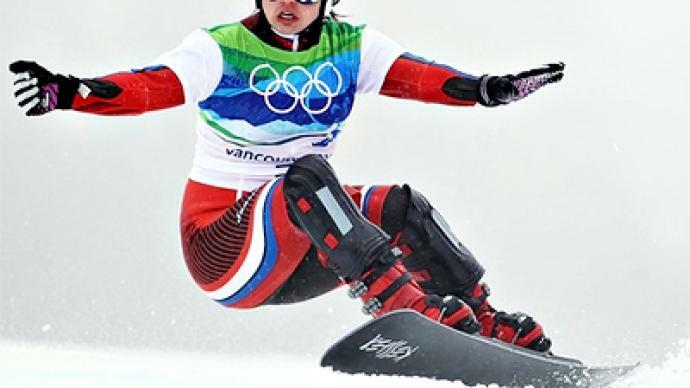 She's won 7 times on the World Cup circuit this year, perhaps making up for the disappointment of finishing 10th at last year's Winter Olympics. She may be 23, but Tudagesheva has already been competing professionally for five years. After winning the World Championships at the young age of 19, big things were expected of her. However, it's taken time for the results to come on a consistent basis. “When I won the World Championships, I always found myself under pressure to repeat what I had done,” she explained. Tudagesheva was born in Rostov, but moved to Kemerovo in Siberia when she was 4. It was there that she fell in love first with skiing and then with snowboarding, mixing her training sessions at home with plenty of time abroad. The 23 year old is just one of a healthy crop of Russian snowboarders, which also include the likes of Alyona Zavarzina and Ekaterina Ilyukhina. And Tudagesheva says it's great for the development of the sport in Russia.